How To Earn Bitcoins FREE With?Coin Tasker! Coin Tasker is the first of it’s kind! We reward you with FREE bitcoins for every task you complete! Simply register, confirm your account and get an instant 1,000 satoshi?bonus just for signing up, plus an additional 100 satoshi?every day just for signing in! Coin Tasker has teamed up with Coinbase and?Xapo?online bitcoin wallets. Coinbase offers Coin Tasker members $10 in FREE bitcoin when use our registration link and make your first deposit of $100 or more and Xapo offers instant payouts on select tasks! ??? 04/12/2017 – New Ad Click Wall Task Wall added. ??? 02/23/2017 – New Ad Gate Media Task Wall added. ??? 01/12/2017 – New Say So Pubs Surveys added. ??? 12/29/2016 – New Offer Daddy Task Wall added. ??? 11/21/2016 – New Kiwi Wall Task Wall added. ??? 03/11/2016 – New Adknowledge 30 sec PTC Bitcoin ads and Adknowledge 60 sec PTC Bitcoin ads added. ??? 04/1/2016 – New site design with increased page load speeds. ??? 03/11/2016 – New Revenue Universe Task Wall added. ??? 07/30/2015 – New TrialPay Task Wall added. ??? 02/12/2015 – Added instant payment via Xapo for the watching videos for bitcoins. ??? 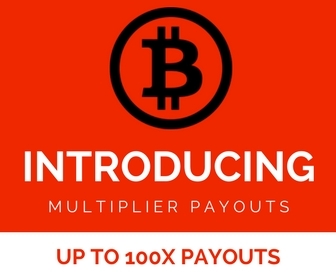 02/11/2015 – Added instant payment via Xapo for Coin Tasker Bitcoin Faucet. ??? 02/06/2015 – New Coin Tasker Bitcoin Faucet added. ??? 02/05/2015 – New feature:?Watch videos for bitcoins?added. ??? 11/13/2014 – New ClixWall Task Wall added. ??? 10/21/2014 – New Persona.ly Task Wall added. ??? 09/24/2014 – New Token Ads Task Wall added. ??? 09/19/2014 – New Adscend Media Task Wall added. ??? 09/11/2014 – Minimum withdrawal limit lowered to .005 BTC (500,000?satoshi). ??? 04/09/2014 – New Adwork Media Task Wall added with free tasks, surveys, downloads, trials and more! ??? 04/07/2014 – New Matomy Money Task Wall added with videos, 1 click tasks, mobile apps and more! ??? 03/26/2014 – New Offer Toro Task Wall added with mobile apps, 1 click tasks, and surveys! ??? 02/23/2014 – New featured task display for quick access to the most popular tasks! ??? 02/11/2014 – New site design! ??? 02/11/2014 – New features: Upload photos, like user posts, floating user menu bar with updated balance. ??? 02/11/2014 – New mobile theme with Facebook style native app!